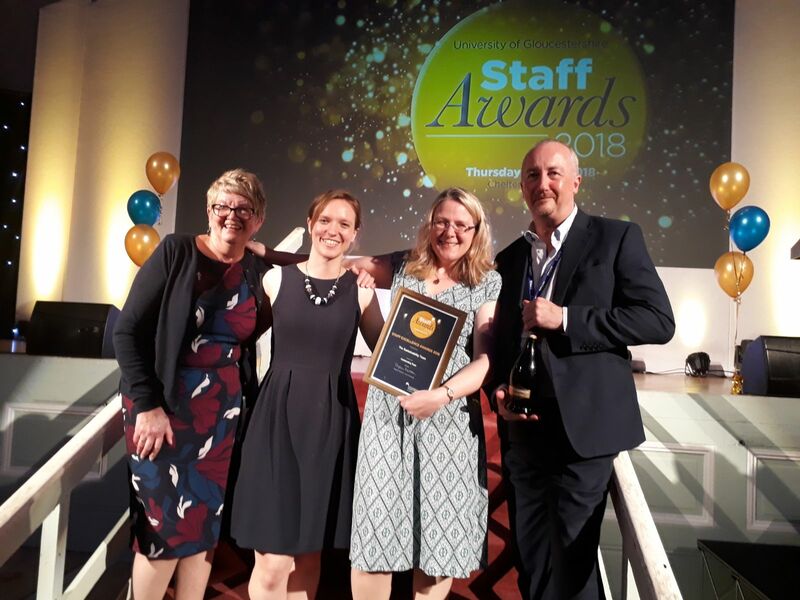 The Sustainability Team was pleased to win Outstanding Team at the University of Gloucestershire staff awards at the end of May. Praised for our collaboration, it’s a real pleasure to work with such a range of inspiring colleagues across the University to drive change for sustainability. Chase Butler (member of the Live Smart Team) – for winning ‘Rising Star’ for her exceptional contribution to University activities as a first year student.